Faatinah (blue) has won the first start of his Dubai campaign for Lindsay Park and Sheikh Hamdan. Australian sprinter Faatinah has begun his latest stint in Dubai with victory over 1000 metres on the opening night of the Meydan carnival. The Lindsay Park-trained Sheikh Handam-owned Faatinah produced a powerful finish under Jim Crowley to go to the line 2-1/2 lengths in front of Hit The Bid on Thursday to begin the path to another tilt at the Al Quoz Sprint on World Cup night in March. After winning the first of three starts in Dubai last year, Faatinah finished eighth in the Al Quoz won by Jungle Cat who claimed the Group One Sir Rupert Clarke Stakes during the Melbourne spring. Co-trainer Ben Hayes was on hand for the win and was naturally delighted. 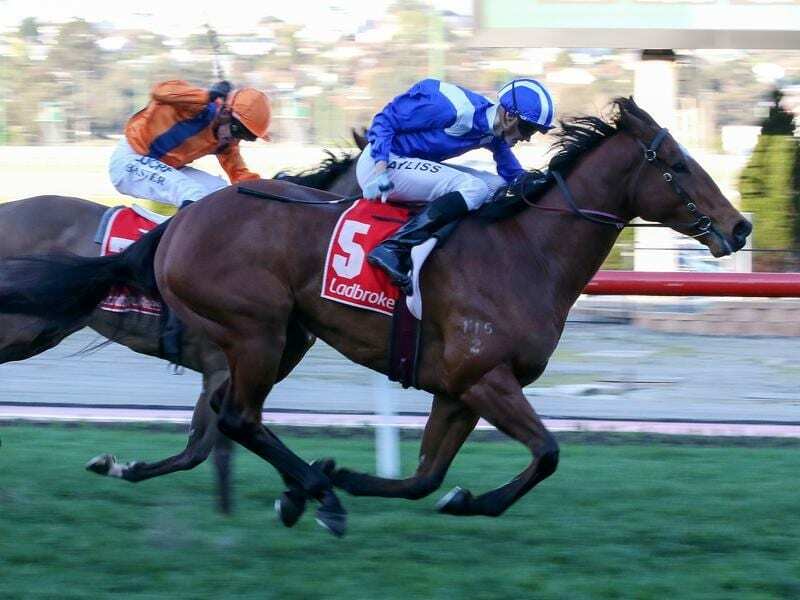 “As he has aged, he seems to have become quicker and we were keen to run him over 1000 metres as he had perhaps not always been seeing out the 1200,” Hayes told the Dubai Racing Club. “He is my favourite horse in the yard and we will now have to think about how to campaign him. Faatinah’s stablemates Eshtiraak and Muraaqeb are expected to contest races in Dubai in the next couple of weeks.